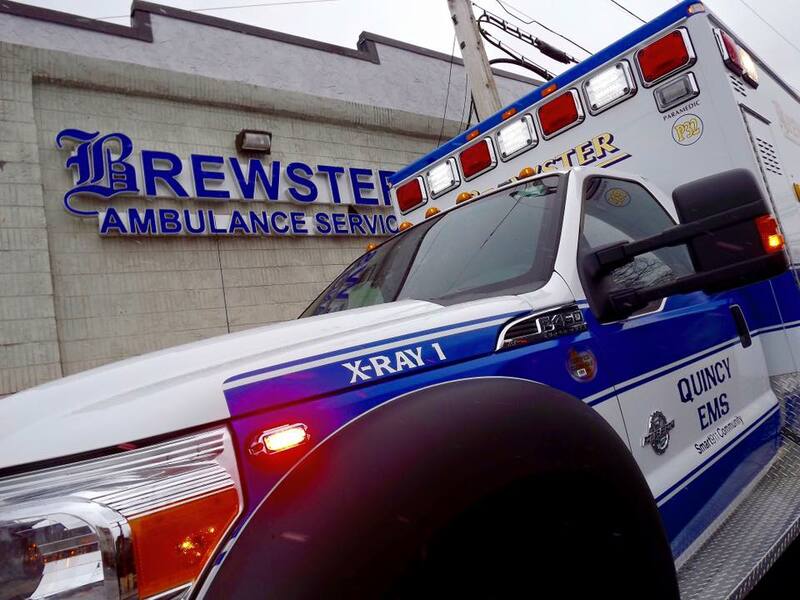 On July 1, 2015, Brewster Ambulance Service took over 9-1-1 emergency ambulance service for the City of Quincy, MA. 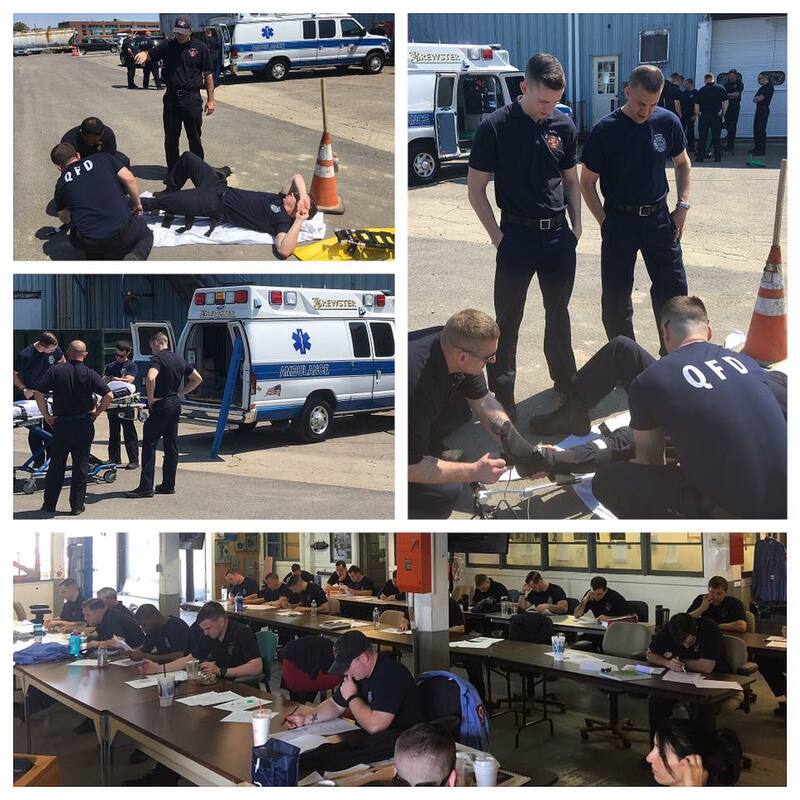 Because of the way we implemented our team and resources in Quincy, from roaming resources providing 24/7 coverage with BLS units staying out on the road after shift change (which makes a huge impact on response times), to first responder education and community support, we have brought necessary level of competency and partnership to Quincy. There is no doubt that Quincy has felt the burden of opioid deaths, having 42 overdose related deaths in 2016. With Massachusetts having an average overdose-related death rate state wide of five per day, Quincy ranks eighth in the top ten cities hardest hit. The good news is that the 2016 numbers are down by two from the prior year, and the city is working hard to continue this trend through multiple tactical measures such as using clinical protocols at the emergency level, community outreach such as the D.A.R.E program and by continuing to work with state and federal anti-drug agencies to find better solutions to the opioid abuse crisis plaguing so many cities and towns. For example, Brewster Ambulance's recently state-approved use of Toradol as a non-addictive medication protocol, patients in recovery now have an alternative choice for pain management that avoids the risk of addictive narcotics. This is just one more clinical protocol we've advanced in partnership with the state to help address addiction at the street level directly with the community. An additional part of our commitment to help Quincy provide the best response and care to its community is to provide extensive education to Quincy firefighters and law enforcement. This includes clinical training on the latest protocols to training for continuing education and upkeep of credentials and certifications. To increase the awareness of people with age-related diseases of dementia and Alzheimer's, we provided first responders training to help the health department crews understand the perspectives of patients with these diseases. This ranged from having them perform everyday tasks with limitations that mimicked the symptoms of people with these diseases, such as trying to open a jar with mittens or trying to see or read with vision-impairing glasses. The goal is to help responders understand and have a greater appreciation for the everyday struggles of having these limiting diseases, and how to best provide patience and the right assistance to keep them calm and safe. 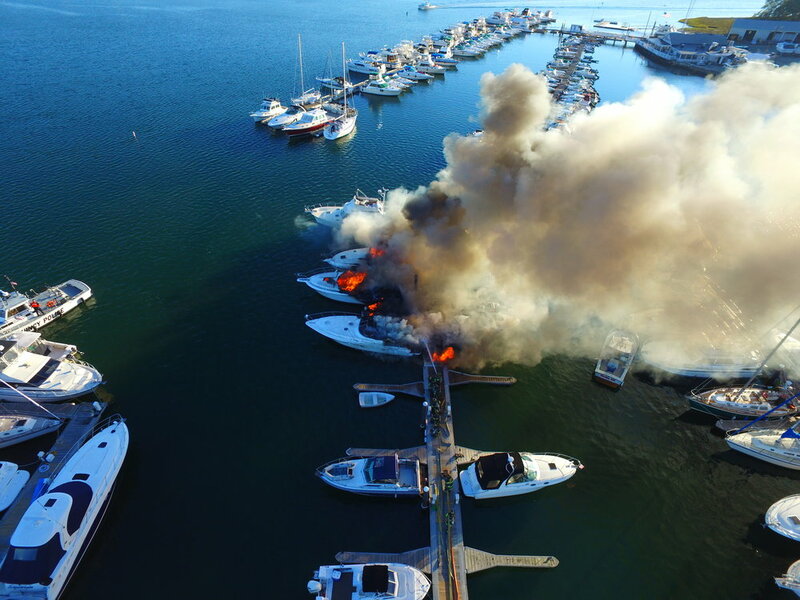 Brewster Ambulance drone captures and provides critical information to firefighters during the October 2015 Captain's Cove Marina on Cove Way in Quincy. Read the full story here. 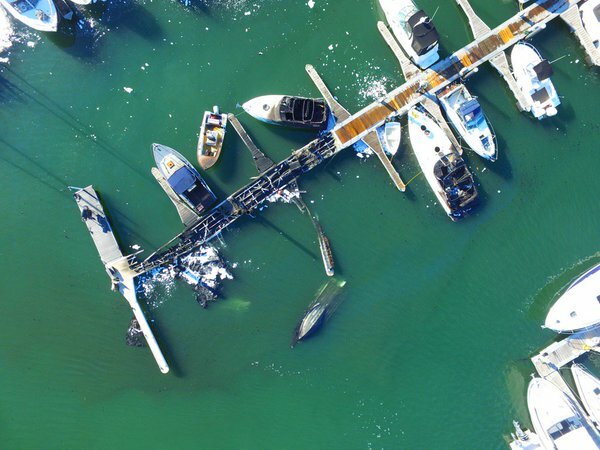 We continue to support first responders and do aerial assessments to keep Quincy municipal workers, firefighters and law enforcement safe and informed. 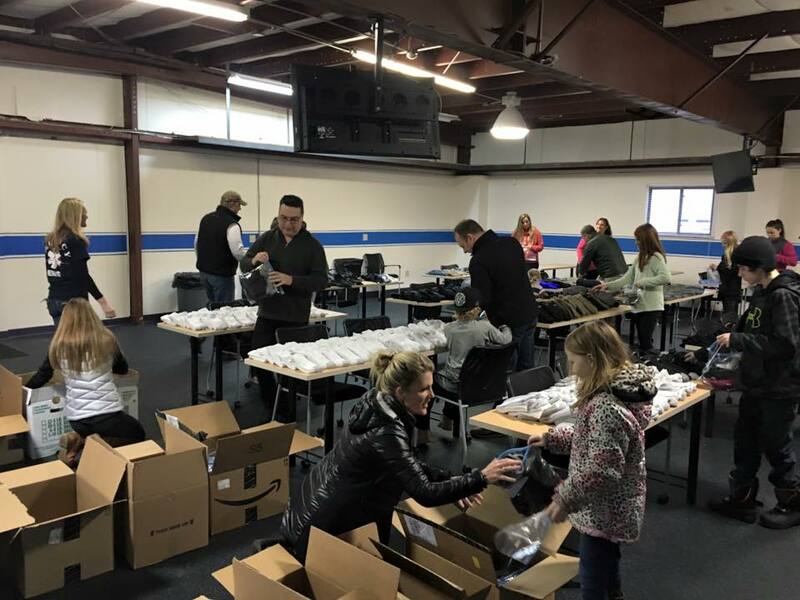 The Brewster family and team assembling Operation Stay Warm packages for distribution by EMTs and paramedics to homeless and needy in Quincy. Winter is brutal everywhere in New England, there's no doubt. Our team is out in the field 24/7 and sees first hand the impact of below freezing temperatures on the homeless and needy. On several occasions, our team encountered people who were exposed to the environment without warm gloves or hats, let alone a place to sleep that was warm. In 2016, the Brewster family decided to address the need they were seeing every winter season and created an initiative called, "Operation Stay Warm," where gloves, hats and socks were purchased and assembled in individual kits to hand out to the needy by the team out in the field. Read more about this initiative that has also been rolled out to our other municipalities, including the City of Brockton. We will always strive to work closely with the state health department and EMS agencies to continue to improve and innovate the clinical procedures and medical equipment we use to do our jobs. 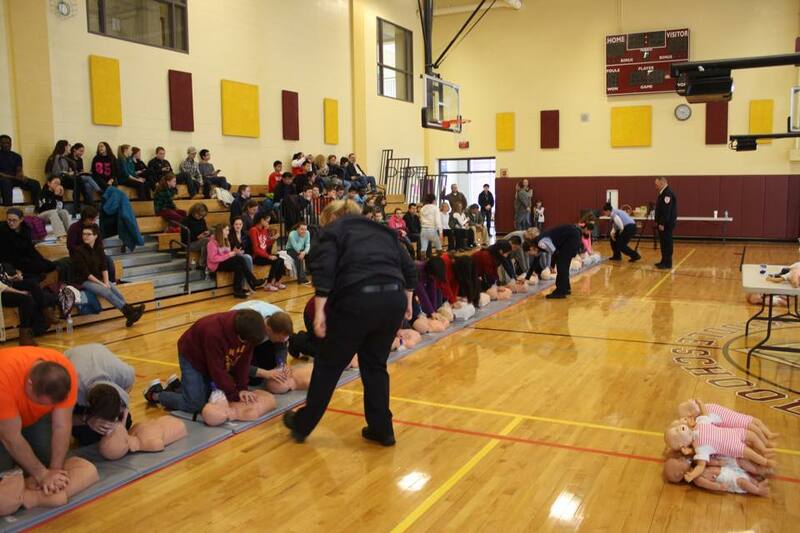 One such initiative, which is typical practice for Brewster Ambulance as a company to do for their patients, is to invest and implement new protocols well before the state mandates such implementation, such as what we did with Levophed™ (norepinephrine bitartrate) and MedSystem III® IV Pumps. Levophed is a new medication required by the state to replace dopamine because it was a better agent. It increases blood pressure, cardiac contractility, and is a better replacement for dopamine which has been associated with arrhythmias. Many EMS agencies refused to make the capital investment in this protocol and gave the state massive pushback, which made the state reverse its position on the mandate. However, not Brewster. We were ahead of the requirement by more than a year, invested in the equipment and implemented Levophed and nearly forty MedSystem III Infusion System IV pumps throughout our fleet in Quincy and our other municipalities. We care about Quincy, appreciate our partnership with the city and the people of Quincy, and will continue to support important clinical initiatives, protocols and practices that create a safer, better prepared community and keep our team and all Quincy first responders safe on the job. We always remember our values as a company and why we do what we do at Brewster: we are people helping people, with care, with kindness and with expertise.